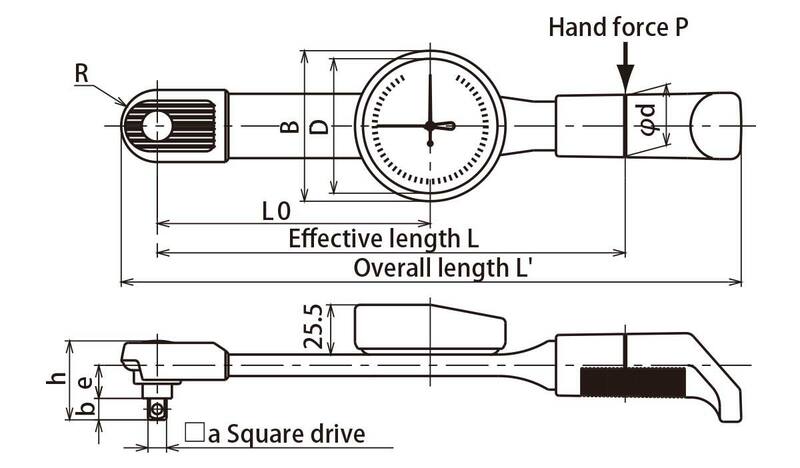 Use for tightening purposes by simply rotating the dial to the desired torque. Completed tightening is achieved when the pointer indicates "0". DB is not length dependent. Therefore, accuracy is consistent regardless of where the hand is placed during operation. The dial indicator has a full-surround protective cover to prevent damage to external objects (except DB420N, DBE, and DBR series models). DB25N to DB280N models have a resin grip. 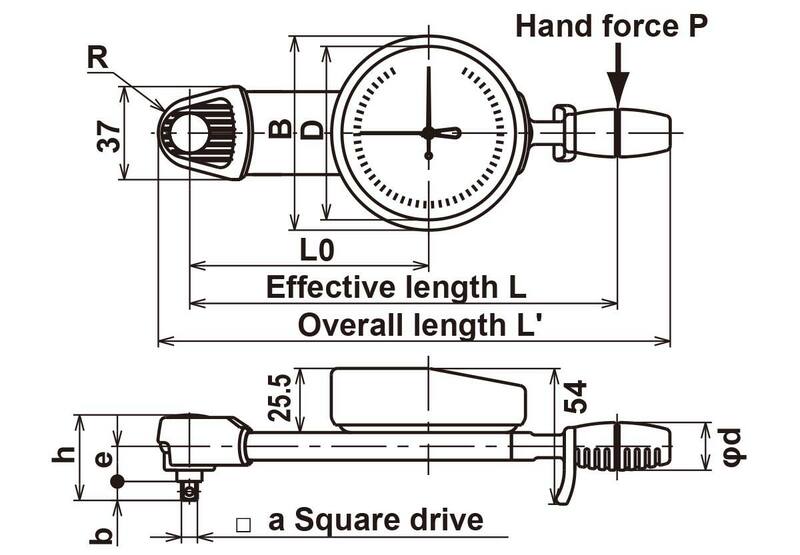 Lowest torque range models have index finger handles designed to guide you to use light hand force to avoid possible over-torque. DBE has an extension handle. For DBR models, applies load by lever block or winch. Applicable for international use including the EU region. Compliant with calibration procedures of ISO 6789 Type I Class B. Load applied to DBR with lever block or winch.